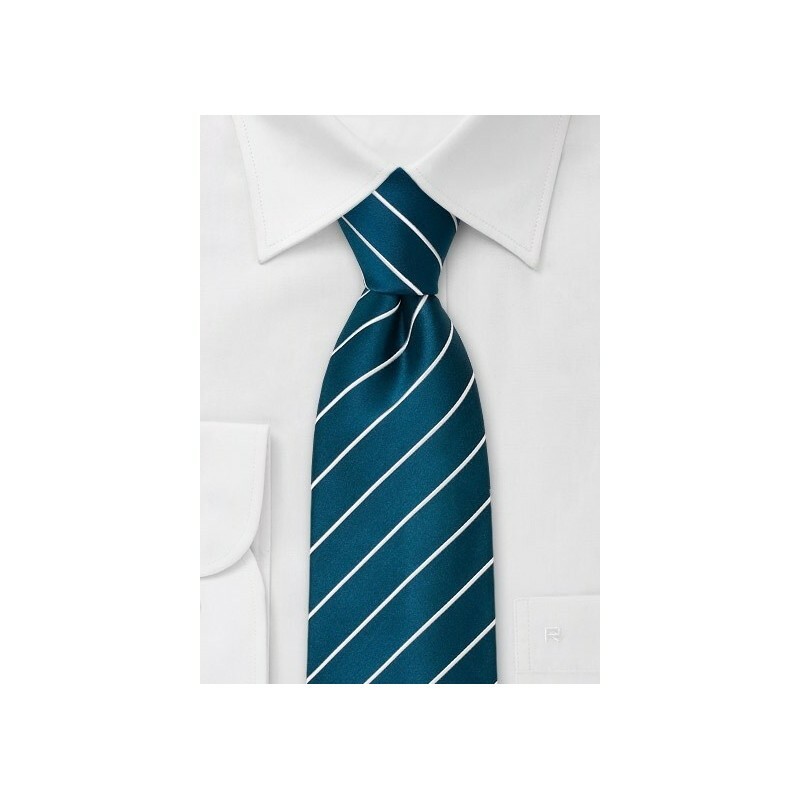 The narrow fine white stripes on this tie are directly woven into the turquoise blue background color. This tie matches well with classic white dress shirt and light gray or charcoal color suit. This tie is made in extra length of 63". It measures about 5 extra inches compared to a normal length tie, and it is the perfect fit for anyone taller than 6 foot 3 inches. Made from stain-resistant microfiber. Don't need extra long ties? 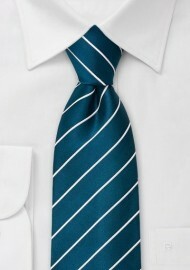 Then this tie is also available regular sized Turquoise Blue Necktie.